Emmy Awards 2014: Full Nominations List Here – See If Your Favorite Is Up For The Gold! The internet was all abuzz this morning after the 2014 Emmy Awards nominations were released. Some (many) were slightly surprised by some of the things that landed on the list — and, well, some of the shows, as well as actors and actresses, that got snubbed. The show that pulled in the most nominations was Game of Thrones, HBO’s fantasy series that has fans foaming at the mouth. They garnered a total of 19 nominations! The show that came in second, just under GoT, was Fargo, which managed to score 18 noms. 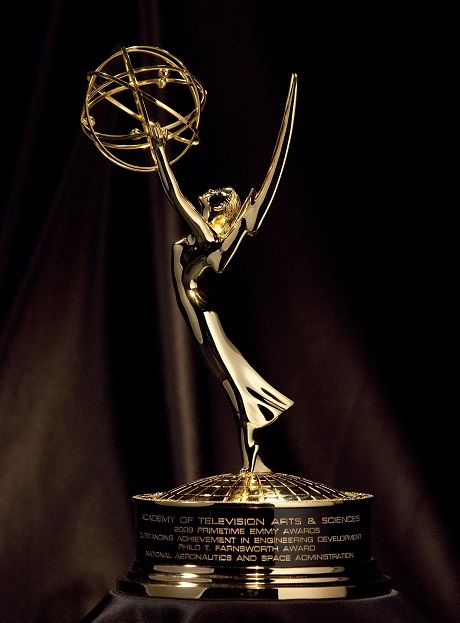 The 66th Annual Primetime Emmys will air on August 25th; the show is set to be hosted by the very funny and very talented Seth Meyers. We can’t wait to see what he has in store! Earlier this morning, Mindy Kaling and Carson Daly announced the nominations. Unfortunately, Mindy Kaling, one of our favorite actresses/writers/comediennes on television at the moment, wasn’t nominated for her show. Many people felt as if she deserved to get nominated, but I suppose the odds weren’t in her favor this season. Maybe next time around! Check out the full nominations list below and let us know what you think. Did your favorite make the list? Is there a show on there that surprises you? Is there a show that you think is missing from the list? Sound off in the comments section below — and don’t forget to come back here next month to get all of your Red Carpet action! 86th Academy Awards – Oscars 2014 Nominees And Award Winners List! Academy of Country Music Awards 2014 Nominations And Winners List – See Who Took Home An ACM 2014 Award Here!